Ubuntu is one of the most popular distributions in Linux OS, but it comes preloaded with the Firefox web browser by default. Those of you who use Ubuntu can change the default web browser from Firefox to any of your preferences by following the guide below. While the Mozilla Firefox browser might not make a great deal of sense when first thinking about it running on Linux, it’s important to note that Firefox is actually an open source web browser which makes it the perfect fit for your Ubuntu distribution — and further than that, your Linux operating system. Here’s what you need to change your default web browser from what it is now to Ubuntu. You can install any of the open source web browsers on your Ubunutu system if you want to keep things in the open source way of life, or you can choose to install browsers which are attached to companies such as the popular Google Chrome web browser. All of the browsers — including the ones coming from companies — are available for you to install on your Ubuntu OS. Download the open sources browsers: Epiphany, IceWeasel or Chromium. Download the company browsers: Google Chrome, Vivaldi or Opera. Since Internet Explorer is owned by Microsoft, you’ll find it more difficult running it on your Linux, but there are solutions out there available. Click the Cog icon in the top right side of the display. You should see a menu with the first three options as follows: About This Computer, Ubuntu Help and System Settings. Open the ‘System Settings’ option. Click on the ‘Details’ item. Look in the side pane for the ‘Default Applications’ and click on the same. The first option at the top will say ‘Web’ and you can click to change that option. 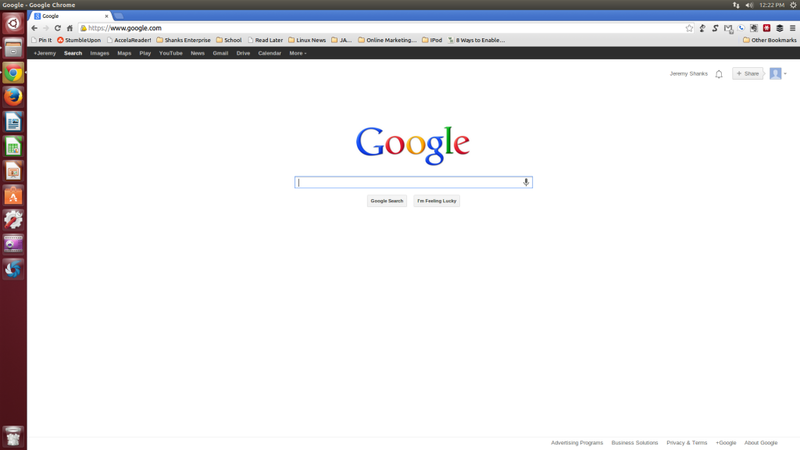 By default, you will see the Firefox logo since it’s currently set to use Mozilla’s Firefox browser. In conclusion, you should see all of the web browsers you installed at the beginning now available from the drop-down menu for you to pick.